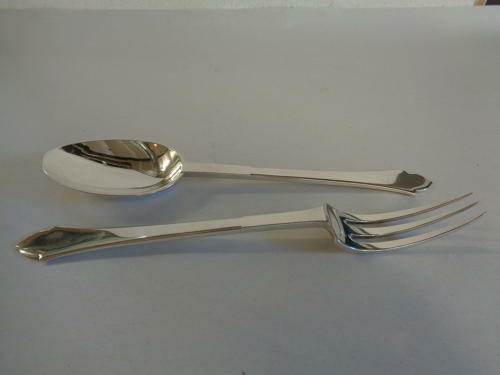 Delightful Solid Silver Art Deco Fork & Spoon. Hallmarked Sheffield 1934 by maker Roberts & Belk. They each Measure 17cms in length & Total Weight is 82.2grams.